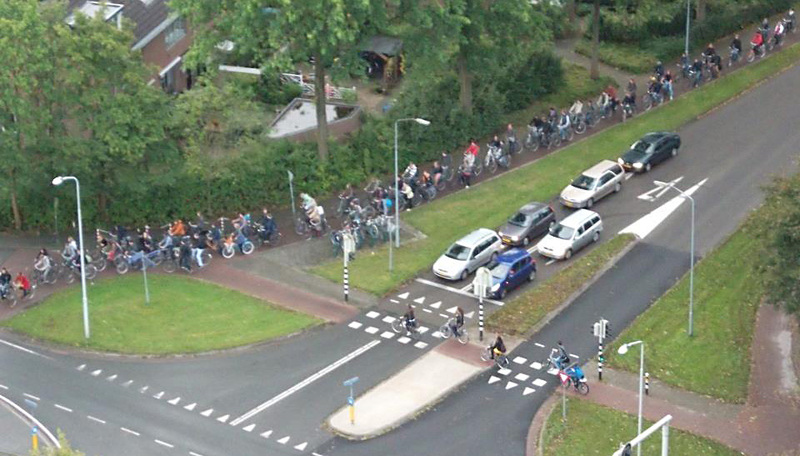 BicycleDutch, Showing you what cycling in NL is about. busy cycle paths near Amsterdam central station on a Friday afternoon (Sept. 30, 2011 4:00pm). Cycling here could improve a lot if one or more of the car lanes would be used for cyclists and pedestrians. There sure are a lot fewer people in cars who benefit from all that space than there are pedestrians and cyclists. It is challenges like these, the Dutch face at the moment.